HF: This British Army Aid Group report of 1944, mentions a “rumour” of a mine on or near Castle Peak. Tsing Shan is the name of the well-known monastery located at the eastern foot of the mountain. I have not come across a mine in this area. However the map below shows four abandoned mines (green squares) and four Former Prospects in the Castle Peak area. Any information about any of these mines or prospects would be welcomed especially that which confirms the BAAG report. The full left hand map can be found in Sewell RJ et al, Hong Kong Geology: A 400-million year journey, CEGG, Gov of HKSAR, 2009. 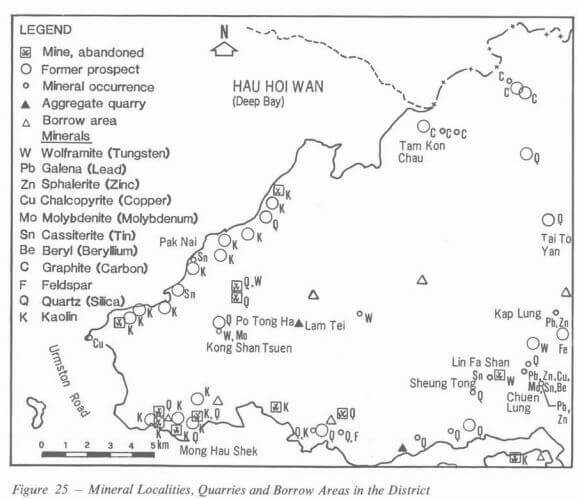 Chapter 8, Economic Geology – Minerals and Mines in Hong Kong. Tymon Mellor has sent the following information extracted from the Geology of the Western New Territories, HK Geological Survey Memoir No. 3, Geotchnical Control Office, CESD, July 1989. First posted on 5th March 2015. Foxholes, tailing dump with samples Molybdenum can be found. 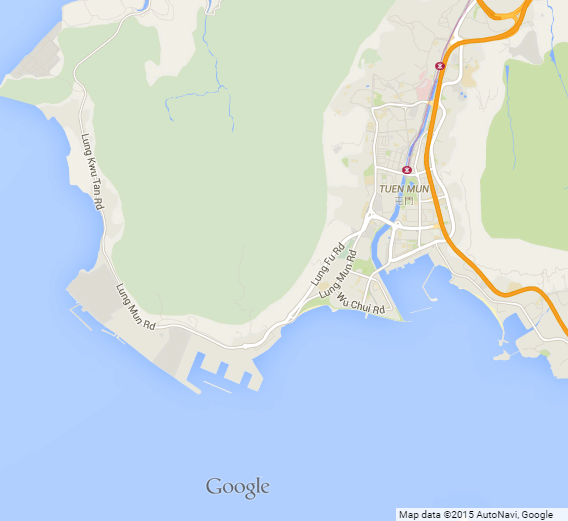 Also, the villagers in Kwong Shan Tsuen 礦山村 will know some foxholes/adit as well. Their families used to work there. Better to ask them for advise on those deposits.